The idea began with Thomas, star of the sitcom "That Girl," and, in 1971, a new auntie. Her young niece's storybooks were the same ones Thomas read as a kid, and recent entries to the bedtime canon reinforced that boys were pilots and doctors while girls were stewardesses and nurses. With the help of her friends and contacts, including poet Shel Silverstein and co-producer Carole Hart, the album and book were born. "Free to Be" was revolutionary for its kid-savvy and reach, but it wasn't universally beloved. For every "Free to Be" class play, another school wouldn't acknowledge it. TV producers initially balked at a song that seemed to show Thomas and Belafonte as an interracial couple. At least one TV critic warned parents to keep kids away from the television when "Free to Be" was on. Focus on the Family founder James Dobson criticized it and advocated for traditional gender roles in child-rearing. Even its supporters argued to change classist skits, and noted its bent toward traditional families with mommies, daddies and children. But its overall message lined up with shifting attitudes of the time, said Lori Rotskoff, a cultural historian and co-editor of "When We Were Free to Be." In the same year "Free to Be" debuted, President Richard Nixon signed Title IX, Ms. magazine began regular publication and TV's "Maude" had an abortion, just months before Roe v. Wade was decided. "There’s something distinct about the cultural moment it was produced," Rotskoff said. "(Free to Be) retained so much of that progressive, oppositional challenging the norm, and it did so in a way that made it palatable." Educator Barbara Sprung spent part of the 1970s creating a nonsexist, multicultural curriculum for preschoolers, she wrote in "When We Were Free to Be." It meant posters and toys that showed women as construction workers and African-Americans as doctors - materials she sometimes had to create on her own. She instructed educators to run with girls on the playground, to play dolls with boys and be mindful of messages in books and music. "As happens in every movement, backsliding occurred," Sprung wrote, noting that plenty of toys are still sexualized, violent and color-coded by gender. "Fortunately, classroom materials and children's trade books continued to depict an increasingly nonsexist, multiracial and inclusive view of the world." Most educators-in-training are too young to remember the heyday of "Free to Be," Lovett said, and they wouldn't recognize a world where girls don't have access to sports and bullying is encouraged. Ideas that seemed so new in "Free to Be ... You and Me" now turn up every day in "Dora the Explorer," "Brave" and long shelves of picture books. In fact, Lovett said, she's lost several copies to students who borrowed the CD and never brought it back, instead passing it around to others, just the way people heard it all those years ago. What are your "Free to Be ... You and Me" memories? Please share in the comments, or tell us on Twitter @CNNschools. I'm 48 and I still remember almost every word of the theme song which was by The New Seekers. I grew up with this album in the late 70s in Dubai! Teachers a the little American school there would play it, and my friends must have had copies as well, because I have no idea how else I could have memorized it so completely, otherwise! As a young woman in her early twenties, I had a job where my coworkers and I would regularly play this in the break room with joy and laughter. And as a fully formed adult artist of 40, I often find myself playing this album in my studio to brighten my mood and lighten my spirit, even still. And I never stop marveling at its humor, insight and messaging. This album: its music, its philosophy, its politic, shaped my life in so many ways. Thanks, Marlo. I was probably about 7 years old and going to the american school in Dubai, UAE, in 1978 when I got hooked on this album. The teachers at the school would play it, but I think some of my schoolmates had copies at home, too, because I have no idea how I could have memorized every line from it otherwise. In my twenties, I had a job where it turned out a number of us had all grown up with FTBYAM and we'd play this over and over again at work, to unceasing delight. Even into my 30s and now 40s, I'll play this album as I'm working alone in my studio to brighten my mood and lift my spirit. Never fails. FTBYAM completely shaped me, in the best possible way. Test worked, so will try again. My son was born in 1971, but we didn't come back to the States until he was 2, when a friend gave us this. I loved it, and still do. First thought when hearing it was: There IS a country where the children run free, rivers and horses, too, and we just came from there. It"s called Norway. When my son was 6 we went back, and he grew all the way up there. It's not quite as safe and calm there as it was in the 70's, for several reasons, but it still seems calm and brave to me, with the attitudes of everyone being free to find themselves as they are meant to be.....not according to gender stereotype or other cookie-cutter pattern. The reasons for the change to something more like the US are worth enumerating: the rise of the videos and commercial tv programs showing man's gruesomness to man, in the same way this occurred in the US; (Freedom to make a buck any way you can get the suckers to buy, is one way to put this); the influx of gangsters from the Baltic (look it up); the arrival of many asylum-seekers from war-torn countries, some of whose heads have been destroyed by the awfulness they have experienced. I tried to warn Norway about the video/tv/horrible movies, because I went to US high schools in the peaceful 50's, and watched with horror what happened to young people and subsequently the country, as being inured to violence became common in the US...but one of the reasons Norway stayed reasonable, calm, funny and hard-working even through the 1960's was that it is small, (now about 5 million, then, about 4), and had one tv channel, owned and run not by the govt but by pro's who felt responsible to the whole population. No commercials. Very careful selection of material that would seem "stuffy" to today's consumers. There was a censorship board for movies, again, responsible to the populace. Common sense was the byword....sensationalism anathema; but fun was hugely valued....don't think it was dull! I have always thought that our great problem in the US is that we are so darn BIG. Very difficult to reach national agreement on attitudes of responsibility for each other on a national scale, though we know it is thriving in small communities, as it always has. So it is wonderful to see that FTBY&M has had such an effect on THOUSANDS as expressed in the comments to this fine, fine article. May it go on doing so....and thank you, thank you, to Marlo and friends and CNN for putting this where thousands who missed out can see the songs. (I learned them by heart, too, and get a tear in my eye at the end of William, still, at 70). Love to all! Testing, testing: I just typed for 10 minutes what I thought was a fine comment, pressed Post, and nothing happened. This is a test. wow i loved this video as a kid in school so i went out and ordered it about 5 months ago. Free to Be You and Me was a big part of my life as a child. I was 8 years old when it came out. My sisters and our friends listened to it over and over and had the whole album memorized. At my younger sisters wedding 3 1/2 years ago, we surprised her by playing Free To Be at the reception and we all danced around her and sang. It was amazing, we had the best time, but the rest of the guests must have thought we were nuts! Who needs Marlo Thomas when we have Forrest Gump? Before there was Forrest Gump, there was Marlo Thomas. There's plenty of room for both. I remember the tv special . Grew up in Fairfax, VA at that time. Don't remember it being in the school. I grew up with this. I was given the record and book by my godparents. For some reason, I brought it with me to college in the 80s in cassette form. Now as a parent, I have read the stories and sang the songs to my girls. It's really timeless. For my children, I think the story of Atalanta is priceless (princesses DO NOT need to fall in love and get married to be happy) and the story about chores. But as my girls are now teens, "Parents are people" is really relevant because some how they think was are just servants, robots or cash machines! I'll be singing this song tonight at dinner!! "Parents are people....people with children....!" I recently bought this for my children. I remember hearing about it, but never saw it as a kid. I think it has valuable lessons, but some of it is very dated. As for the Maude "abortion episode" (actually a two-part episode), I saw that for the first time a few months ago. Most of it was very good, but at the end, it was rather disappointing that it seemed to become a "eh, who cares?" moment after the buildup was "should I really do this? can I really do this?". I also think that their decision to abort was a hallmark of who Maude really was – someone who was supposed to have principles and be accountable, and be upright and fight for human rights, yet when it came down to it, she could not take responsibility for messing up on birth control. The ultimate liberal who wants everyone to be accountable and everyone to do whatever they want to do, but can't apply the rules to herself. Dustin Hoffman "jules" in crossing the street and Ladies First! Wow. I don't think I've ever seen this. But then, I'm not from the US (I'm from Canada), though I live here now. Look at Michael Jackson. He's so young, but still an incredible singer. Loved this album–my 3rd grade teacher introduced us to it and then I got it for Christmas that year. Had it memorized and introduced it to my kids in the 90s. We were in MA, from a conservative Catholic family, though. My Mom loved it, too. Watching the clip above, I felt sad that poor Michael Jackson never internalized the "we don't have to change at all" lyric. What a lovely young man he was! This brought tears to my eyes. My children (now in their forties) were raised on Free to be. . . . I still know the words to every song, and know that the messages are as valid now as they were then. Must say that a lot of this comes more easily to my granddaughter. That's progess. Thanks to Marlo and friends for a magnificent classic. I learned about Free to Be You and Me in my college women's studies class in the 70's. Our professor showed us the video. I bought the album and was hooked. My favorite story was Atalanta, daughter of the king, who ran like the wind. She ran a race with the young men of the village to determine who or IF she would marry. That "if" had a profound impact on my life. I don't remember learning about Free To Be You and Me until my college women's studies class in 1977. My favorite story was about Atalanta, the daughter of the king, who ran a race along with her suitors to determine who or IF she would marry. That "if" had a profound impact on me. I'm very happy to know this amazing album helped shape so many children over the decades. I was born in '69, grew up in Wisconsin, and FTBYAM was a BIG part of my childhood. I remember the bright pink album cover fondly. I knew all the words to the whole thing (probably still do), and appreciated so many of them over many years as they came back to me in various situations. In particular I found myself thinking of Atalanta's story when challenged about gender roles that I was not adhering to, and still do hear Marlo in my head on occasion. FTBYAM reinforced the message I got from my parents that it was not only totally OK to be me, but that it was important to defend the right of every other person to be who they truly are. I'm so glad that FTBYAM is still available, since we clearly still need to hear the message. Thank You Marlo!!!!! I was born in 1968, and with my namesake as the creator of this record, my parents bought it for me in about 1974. I absolutely LOVED this album! I sang "Parents Are People'" for a school talent show, and still have my original album, and subsequent tape, and CD and video! I sang every song to my kids (who were born in the 90s). It really did help show young girls that that could be anything, everyone helps, boys can play with dolls, men can (and it's alright to) cry- gender stereotypes be damned! I would love to meet Marlo Thomas and have followed her "Marlo Thomas and Friends" other things through the years. Thanks for the article! Hi Marlo L: As one of the editors of the new book "When We Were Free to Be," mentioned in the article above, I am moved to reply to you and let you know that you are the first person I've heard about to be named after Marlo Thomas! I am sure that "Free to Be" played a special role in your life, in part for that very reason. Both Marlo Thomas and her niece Dionne contributed essays to our anthology, among many other "Free to Be" creators, writers, artists, and activists. Thanks for commenting on this piece. I grew up in Buffalo, NY and I remember one of the most popular classes at my school, which went from 5th grade through 12th, was when you had health class with Mr. Anthony, or "Jack" as we all new him. We always knew we were in for a treat when we would show up for class and see the TV monitor there waiting for us, because we would get to watch Free to Be. One of my all-time favorites, and I plan on getting a copy soon for my daughter to have in her collection! Wow. I haven't thought of this in YEARS. My mom got me this record plus TA for TOTS I think it was. We were living in upstate NY back then. Oh the memories! I remember this and songs like "Let There be Peace on Earth" causing quite the commotion in the Boston suburb I grew up in the 70s. Most of the dads were WWII or Korean vets and moms were homemakers. We had only seen black people on TV or when we went into the city. We weren't racists or anything like that.....we just were isolated. Anyway, the more the parents started talking about how "Free to Be" would cause confusion in the children and go against what we were being taught in CCD classes (Catholic), the more curious we kids got about the show and album . Years later, my parents became members of P-FLAG because of me. But they still don't like "Let There be Peace on Earth"! "Let There Be Peace on Earth" was controversial?!? How is that even possible? (The reference to God might feel a little isolating to non-believers, but the song is a pretty sweet sentiment.) But if a person were religious... what's not to like? I was born in 1969 and was listening to Free to Be daily in 1974-1976. It was my all time favorite record and yes, I memorized the entire thing. My funniest memory is my paternal grandmother telling my mom I shouldnt be listening to it when she heard the Nobody Likes Housework song. As a teacher in the 90's, I always played my Free to Be CD for my kindergarten students, for 11 years it was a huge hit. They were riveted as they listened, and were shocked that I knew every word! We had really interesting discussions after every song, it sparked their thoughts about people and how to view the world. Their all time favorite was Ladies First, we even acted out as a skit in class.A best friend gave me a new CD for a baby shower gift, I was thrilled. Even at 43, I still know all of the words, my school aged children have listed to the CD in the car and sung along. It still gives me goosebumps!! Born in 64, raised in the northwest and have absolutely never heard of this until just now. I remember That Girl, and pretty much every other show from that time period. I am guessing that it did not play on the Portland, Or ABC affiliate. You are not alone, I have never it. I am 54. Fifty here. I remember watching the special, but I didn't comprehend what it was trying to convey. Even at 12, most of it went over my head. Maybe you just missed it? I was born in 1970 in Portland. My elementary school (Irvington, in NE) played this movie often in school. My sister Debbie gave me the album in 1972 and I LOVED it! I bought my children the tape in the 80's. I just bought the CD for my grandchildren. I also sent this article to my chilldren, and this is what my oldest said, "You were a revolutionary, mom! Decisions like this helped inform who Lex and I became, not only in encouraging tolerance but actual appreciation." Wow! it has stood the test of time and Marlo Thomas sure helped more than just one girl! In Montessori when I was four I made fun of a little boy for having a doll, and the teachers told my mother to buy me this on cassette, which she did. I'm so glad they did that. And yes, it is aok for boys to play with dolls, especially because they might become fathers too. Now that I'm all grown up, I've bought the cd for my son. I was born in 1971 the youngest girl in a family of 8 kids (4 boys and 4 girls). My mother was WAY ahead of her time and bought me the "Free To Be You and Me" album and book. I still have the book, and wish I had the album to share with my two sons, ages 5 and 3. I'm not sure I understood the importance of the message at the time, but I can still sing some of the songs, so I know it "stuck with me". I definitely encourage my sons to play with any and everything that interests them regardless of gender the toy was "designed" for, and despite the eye-rolling of my husband! I know they will be better men for my efforts! I'm guessing if you are a liberal today, you were probably raised with this, and conservative if you were not. I remember it was kind of polarizing back then, because of the whole ERA and womens' lib movements. I was raised in the 70s in a very conservative home and am still conservative, and I still have the copy of this record I listened to on a nearly daily basis as a child. Please don't make the asumption that because someone is conservative that they are hardened and intolerant. Kindness, tolerance and a healthy self-esteem (and esteem for others, regardless of race, age, social position, etc) are not merely liberal values. God bless you! I knew every word of this album...Great memories! Free To Be You and Me was my son's Pre K graduation song which was set to photos taken by the teachers of the students throughout his Pre K year. It was very moving to say the least. I am 48 and still have my Free to be you and me book. It is a very treasured childhood item. I'm so glad that CNN included "William's Doll" in this story. I'm 50 years old and loved this song as a child. This is the first time I've heard it in years. My Dad was an only child growing up in the 1920s and 1930s and always wanted a little sister. When he found out that my grandparents couldn't have any more children, he asked for a doll for Christmas. An unmarried aunt gave him a beautiful Madame Alexander doll as a gift that year. My Dad never played with it, but kept it on a shelf in his room. When I was elementary school age, he gave it to me and I still have it on a bookshelf in my den... and my Dad grew up to be a great father, to have his own successful pharmacy and to be one of the biggest footbal and basketball fans the world has ever known. Lovely story, Susan. Thanks for sharing! love..love...loved it! Loved the show, the music and the message. It was so unique at the time. I was born in 1963 & have vivid memories of the 1970s, but this is the first I ever heard of this . Was it regional? I asked that question of people I interviewed. It certainly had the potential for national reach - the TV show was on ABC primetime, there was a lot of press coverage etc. - and I've read comments about it from people all over the country. But there are obviously communities where it never took off, whether because adults disagreed with the ideas presented, or because there wasn't easy access to a store that might sell the album or a library that could check it out. Those who've studied it pointed out several times that many kids heard it when adults played it in group settings, like classrooms, day care, summer camp. I lived in Palm Springs, CA in the 70's and it was a huge part of my life. I now live in MN and my close friend who grew up here also loved it as a kid. But another friend of ours who grew up in Central Illinois had never heard of it until we were discussing it one night. I grew up with older parents, conservative idealism. This album (if nothing else) told me that I didn't have to agree with everything and everyone. I needed to hear it. What a blessing. I looked for it when my son was little and couldn't find it. Now that I've been reminded, maybe I'll look for it again. I easily found it in CD form on Amazon.com a couple years ago. I miss the 70's because I was too young to see the ugly in the world and it was a wonderful life. As I get older and watch those around me die and see how the world really is I wish I was that young again. Not for the health and not for the vigor but for the family and the unmolested outlook on life you have when your really young. We're cut from the same cloth, MightyMoo. I'm constantly telling my ten year old son that he will always get older but never get younger, so he needs to relish every minute of life as a boy without a care in the world. I grew up in Sharon, Massachusetts and I and the rest of my grade school class performed FTBYAM in it's entirety for the rest of the school the year the special appeared on TV. It had that big of an impact on that community at the time. I now have the CD and DVD and my 7 yo daughter loves them both and can recite pretty much all the content. Timeless. Huh? I grew up in the 70's. Never heard of this before. "When it debuted in 1972, there was nothing else like it – at least, nothing so popular". I would have to say this is a bit of an exaggeration. Maybe a little bit of revisionist history? Grew up in the 70's in Houston and never heard of it. I never listened to it, never heard people talking about it or anything. Dave, this is not revisionist, perhaps you were sheltered. I was born in '61 and remember when this came out, I saw the TV special only because my parents did not pay attention to what I watched. I grew up in the deep south and this type of thinking was not practiced in our conservative schools. My parents did not like Marlo Thomas, they thought she was immoral for some reason. It was very big in the more progressive areas. Really?!? I can't imagine an American kid getting through the 70s *without* hearing or seeing it at some point. It was about as well-known as Schoolhouse Rock, at least where I grew up. (Miami, FL). A few folks mentioned that they were "warned" about it, or didn't hear about it because they grew up in the "Bible Belt" (their term, not mine.) I'll bet *somewhere* along the line you've heard the song "It's Alright to Cry" sung by that that deep-voiced football player, Rosy Grier, I think his name was. And I also get a little lump in my throat whenever I hear the last verse of "William Wants a Doll." And it wasn't until *years* later that I learned that the story of Atalanta's race was part of ancient Greek myth. Personally, I always liked the story about the (spoiled) little girl who was a Sweet Young Thing, and always insisted "LADIES FIRST! LADIES FIRST!!!" Heh heh –great ending! Oh and the "Some kind of help is the kind of help that helping's all about. But some kind of help is the kind of help we all could do without." I love that. Die laughing everytime. I listen to Free to Be... with my 5 yo daughter. It's interesting to see what ideas seem anachronistic to us today. To my child the idea that a mom would do more housework than a dad is very strange. Everyone sharing household duties is the norm. She doesn't question that anyone can have nearly any role in society. Her doctor is a black woman; her father is a very nurturing, kind person who loves babies; our mayor is a woman, our president is a bi-racial man, and the list goes on and on. Detrimental stereotypes persist and are still pervasive in media, but we've come a long way, USA! Now when I listen to this CD I think how I wish the children of Saudi Arabia, Mali and India could hear it! India along with Saudi and Mali? Please brush up your history and current affairs knowledge. India had a women prime minister in the 70s; caste system was legally abolished even before USA abolished salvery. India is world's largest democracy. Sure there are problems; but isn't that case with every country? Our teacher played this for us constantly at school, it was wonderful and brings back great memories. I was 7 y/o when this came out. I remember listening to it in the second grade. I'm glad I was raised in liberal Minneapolis. I ordered the CD off of Amazon a couple of years ago for my granddaughters. They love it, too. What great memories this album brings to me of my carefree childhood. 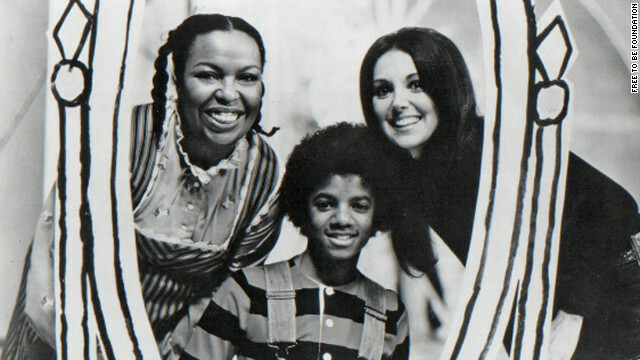 I remember watching it because I was and am a huge Jackson Fan so watching Michael and Roberta sing "You don't have to change at all and I like what you look like" very important words then and especially now since bullying is so prevelent and so many kids are killing themselves about it. I was warned against this album in 1972-1975. I then heard it expected to hear poison against God and Parents. I was 10. Nothing to it I was suprised and questioned the warning adults in my mind. This is just people being nice to each other. What I did not know was that it was not the message its the pool from where it can from that as I child I did not understand. The nothing matters be nice to each other ideas suit kids. Applied to the adults it has wrecked this country we want what we want liberal and conservative alike with no space for the other's concerns and only be nice to your own kind. My friend 40 years ago was a Gay girl who no one cared was different she could play hard we liked that. Now she has to be Gay to feel good in her community. She really just wants to be her old 1972 self no agenda I want to be that 1972 kid too with no adults saying be nice and trying to Gut the otherside at the same time. that's a pretty cynical viewpoint and I question your interpretation of your gay friend. It seems that you are content if your gay "friend simply stayed in the closet because it made you more comfortable. no – it says more about stereotypes – and how they only become stereotypes if someone has to fight for their right to be themselves – then it is more about the fight and who you are that is different than others – and not about just being you – with no agenda – like a fight to prove yourself or justify yourself in mind – just trying to be yourself without being made to feel quilty about it and have to fight for the right to be yourself. I've never heard of this album before – they should of put it on the muppets show for further reach. I had both the record album and an 8 track for my dad's car. Loved, loved, the whole thing and could sing along to every song. I was the youngesf of 3 girls and just the right age when it came out. I think I used to torture my family asking to listen to it again and again on long car trips. As a kid hearing the messages on that record, I don't think it occurred to me that there was anything out of my reach when I grew up. Great article, thanks for bringing back some great memories! It was needlepoint. He was a good friend of my Mom's. I remember him as being this gentle giant who had a huge heart. Though it was mostly a lovely, utopian view of how the world should be, I would love for it to have been more inclusive of people who DO embrace traditions and traditional roles rather than subtly demonizing them. I loved it as a kid, but felt a little resentful as an adult. I was a career woman for most of my adult life until my late 30's when I finally came to terms with the fact that what I wanted was to be a wife and mother and educate my children and met a man that was looking for the same thing in a woman. It just became shameful to express such an old-fashioned idea. Gender ambiguity is regressive, irrational and has no moral imperative. It's trash. It's not "gender ambiguity", it's fairness. Girls don't have to choose being a nurse or teacher; they can go into just about any line of work and what's wrong with that? All the many things covered in this American classic and all you can think of is "gender ambiguity?" I remember listening to the album in 2nd grade back in 1982. I'm 39 now and can still remember all the words to My Friend William. I loved this!!! I had the record as a kid and still can remember Rosie Greer(Spelling?) singing "It's Alright to Cry' and Alan Alda (of all people) singing about a boy and his doll and how that was ok. There needs to be more stuff like this to tell our children that they are ok even if they feel different, or shy, or sad. Marlo Thomas is a saint for making this album/show. There's a land that I see where the children are free... And this land is not far from where we are. I think since the film came out, that land has never been farther away than it is today. Not sure this is a victory. I oppose allowing anyone to be in combat. Here here! I agree. No more combat. But here's a reality check for some – US women have been in combat for quite some time. My three daughters loved the original show and we wore out the album. I now have the CD and my three granddaughters play it every time they come to visit. They love the songs and story and it always brings back happy memories while we're creating new ones. I truly believe this show made me and other children feel that we were each unique and beautiful. 'Free to Be' celebrated children and love in fun, smart, and colorful ways. It still makes me smile! Thank you Marlo – you are beautiful on the inside and the outside! I remember FTBU&Me fondly, along with Schoolhouse Rock, the Electric Company, Nova and Cosmos. I remember being taught that people who were different were not to be feared or ignored, but treated as human beings the same as oneself; and to embrace differences, because it makes us stronger as well as more compassionate. It's sobering to realize that the 70s were a golden age for American education. Somewhere between there and here, education ceased to be a priority for the U.S., and became a burden. So that's why we had to do square dancing in school! Thanks Nixon for making PE awkward for everybody. Square dancing, awkward? Yup, I was the skinniest boy in class that got matched up with the biggest girl. Scarred for life. Nixon's fault, or the PE teacher that did the matching. It isn't just the lack of focus on education. There seems to be a general lack of focus on discipline and hard work. I agree that sports can teach that, yet I see more budget money spent on sports than on academics and other enrichment activities. I don't often see people teaching and living the values that built this country. There was a time when people were determined to work hard and to live ethically before they would ever resort to a government assistance program. There was a time when people spoke respectfully and politely to each other, especially to strangers. I remember those days too, sadly and fondly. Those values and behaviors are the foundation we have thrown away to have today's "Me first!" initiative and lifestyle. Loved it! Thank you to- all! brings back memories. Loved Alan Alda's and Marlo Thomas on that record! I still have my original album. it's a bit worn, but it plays. I checked it out of the school library when I was in 3rd grade and tried REALLY hard to not give it back! I hid it in my bedroom closet and claimed (i.e., lied) that I didn't have it. I didn't grow up with the album but was given it when I had my daughters, now ages 12 and 9. It was a car sing along staple, and my girls were and are fearless from their dinosaur and firetruck collections to their doll houses. Now we balance ballet and piano with Krav Maga (a martial art) and they don't question what they have the ability to do. I sometimes worry it's my nephews who have a harder time of it in a world that still seems to mock boys with dolls and kitchen sets. And every Christmas, the Target toy catalog arrives with its split gender, color coordinated sections reinforcing stereo types about girls and barbies and boys and trucks. We've come so far but the stereotypes still haunt our children about what is culturally acceptable. "William Wants A Doll" still tightens my throat when I hear the part at the end when his grandmother is the only one wise enough to realize he wants a doll because someday he wants to be a father. We should encourage that trait more in our male children, not discourage it. Too true. The "pink aisle" needs to go. It's like a "free speech" area. It's the only dedicated area for girls in any toy store or department, but the effect is, boys avoid it, and girls feel like they can't go anywhere else. Agreed William Wants a Doll was great and sung by Alan Alda of all people! I think I wore out the library version. I now have the CD for my kids. The messages are progressive-ish, but I just liked the catchy tunes. Some of it is just funny. I remember this from the 3rd grade. Knowing now that some schools chose not to show this movie or play the album shows me how truly fortunate I was to be exposed to this story. I LOVED this video/story/album. I have a copy for the day when I can show it to my daughter (if I have the fortune to have one)...Thank you Marlo Thomas. Thanks to you and a progressive thinking father (at that time this was a big deal), I NEVER thought I was limited in what I wanted to be when I grew up. I grew up on this album, and it brings back so many great memories. Great article! I grew up in the Bible Belt ... and this wasn't allowed in our schools! Pity y'all. Glad I wasn't born in that part of the country where mindsets, thoughts and beliefs are too tightly controlled. To be "free to be you and me" is the very concept of freedom - something all those "founding fathers"-spouting politicians seem not to keep in mind. Wow! Earliest memories. It's interesting to look back on it.